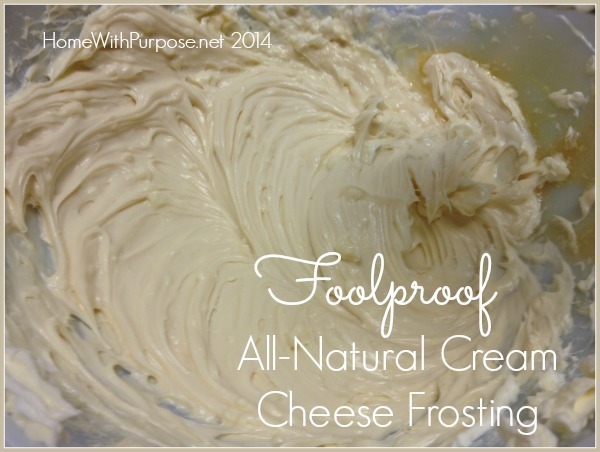 This is the simplest, quickest, BEST frosting ever, with just four ingredients and NO refined sugar! 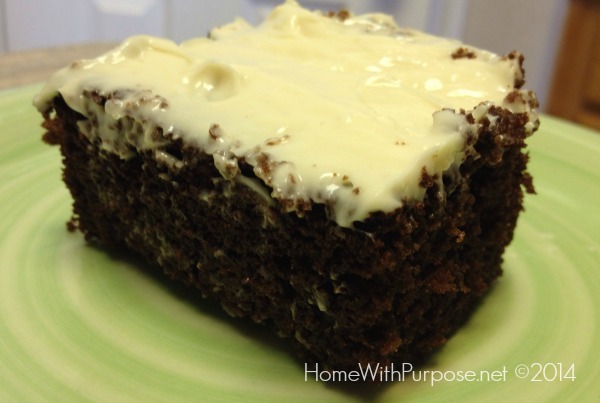 It’s totally delicious on my family’s favorite chocolate cake, carrot cake or anything else you’d like it for. Whip cream cheese until soft, blend in remaining ingredients until smooth and creamy. Seriously. That’s it. Couldn’t be easier. Bonus tip: To prevent the frosting from slowly seeping into the cake, as cream cheese frosting tends to do, freeze the cake before frosting and frost right before serving. Cover and store any leftover cake in the refrigerator or, even better, the freezer. Thanks, I needed this. I got one awhile back and it's terrible. 'Course… now I want to bake a cake.